Fiat is proud to announce another special edition to our ever-growing Fiat 500 lineup – the Fiat 500 Mirror Edition. This model adds Apple CarPlay™ and Android Auto™ connectivity, all with a simple touch to the car’s seven-inch touchscreen infotainment system, these features allow you to access the music playback and sat-nav functions of your smartphone. The 500 Mirror also comes equipped with a leather steering wheel, Bluetooth connectivity, an AUX cable input as standard and is offered in exclusive Electronica Blue paint. Enquire online or call us directly to book a test drive and to find out more about our deals and the customisation choices. 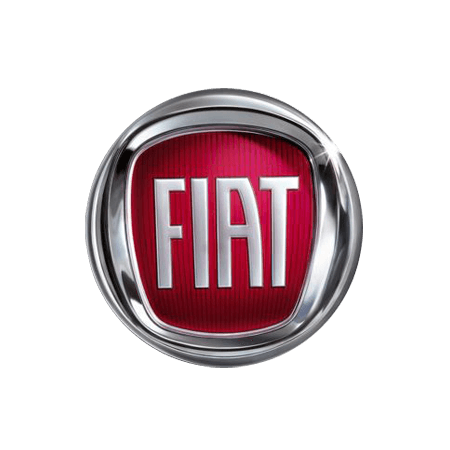 Terms and Conditions: Terms and Conditions Fuel consumption figures for the Fiat 500L range in mpg (l/100km): Urban 32.1 (8.8) – 62.8 (4.5); Extra Urban 52.3 (5.4) – 78.5 (3.6); Combined 42.2 (6.7) – 72.4 (3.9). CO₂ emissions 104 – 155 g/km. Fuel consumption and CO₂ values are obtained for comparative purposes in accordance with EC directives/regulations and may not be representative of real life driving conditions. Factors such as driving style, weather and road conditions may also have a significant effect on fuel consumption. *Personal Contract Hire. New Fiat 500L 1.4 Mirror (incl. bi-colour paint and 17" alloy wheels at £1,250 incl. VAT). Initial rental of £4,901, followed by 47 monthly rentals of £169, incl. VAT & excl. maintenance. Based on 6,000 miles p.a. Excess mileage charges apply. Vehicles must be ordered and registered between 01/04/2018 and 30/06/2018. Subject to status. Guarantees may be required. Participating dealers only. Ts&Cs apply. Leasys, SL1 0WU.